5.9" x 5.9" stitched on 14 count. 4.6" x 4.6" stitched on 18 count. 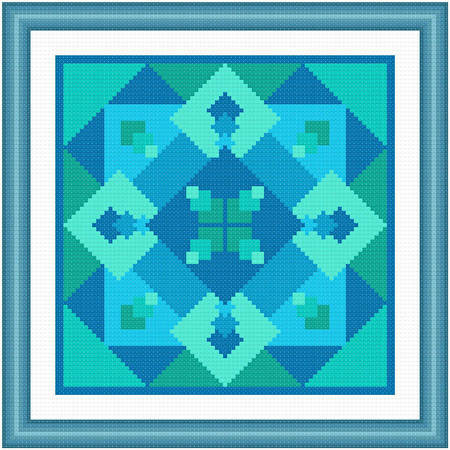 Immerse cross stitch pattern... The colors remind one of pools in which water is waiting for swimmers to dive into them. Whole stitches are used.